Registration fees must be paid in full by the start date of the session in order to be enrolled in a section. Cancellation Policy: $50 cancellation fee up to 10 days before the session start; no refunds after the start of the session. Click here for more program details/information. * The Career Guide Online Certificate Program was developed by Butler Tech and offered statewide through Ohio ACTE. Registering more than one person for your school? To register more than one individual, complete the registration form and select "Invoice Me" instead of "Pay Now". This will create one invoice and registration for one person. To repeat for additional individuals, click on "New Registration" and repeat. You can then pay for them all at once via credit card or send a check. The CBI Board recognizes teachers that have reached milestones with years of service teaching CBI classes in increments of 5 years. You must attend the conference to receive your award. Milestones received after April 1 may be awarded at the 2020 conference. *Please note that this is a group code, not a promo code. Select your room and enter your information. At this time, the credit card will be charged for the first night stay plus tax. Wait for a confirmation number. Please contact membership@ohioacte.org with questions or call (614)890-2283. Please click here to review the cancellation policy. School Counselors and Administrators are encouraged to attend this conference for best practices on preparing all students for successful futures! Registered business members are cordially invited to attend conference programming, and meals, on Wednesday with no additional charge. Thank you for making our conference a great success. We hope this change in schedule will allow you to participate as members, beyond your booth commitment. 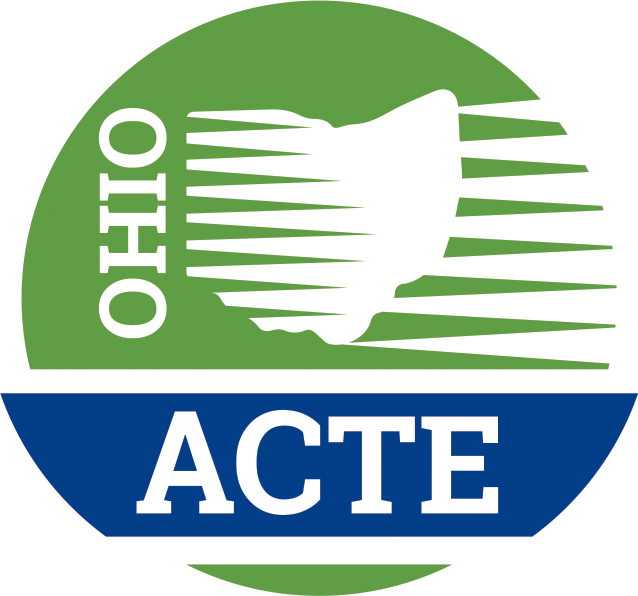 To receive the member rate at registration CLICK HERE to join Ohio ACTE!